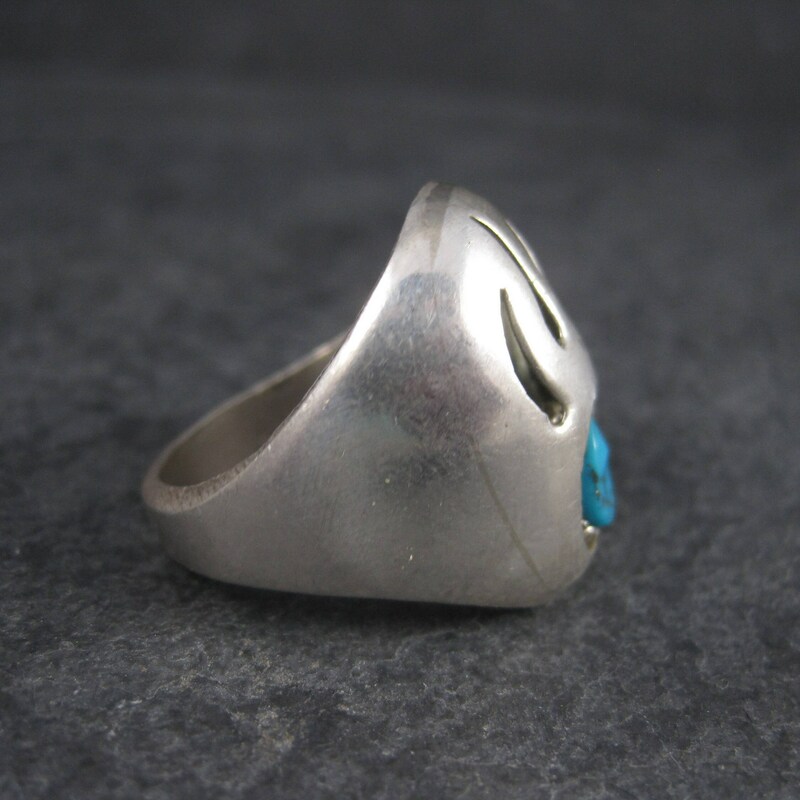 This gorgeous ring is sterling silver. 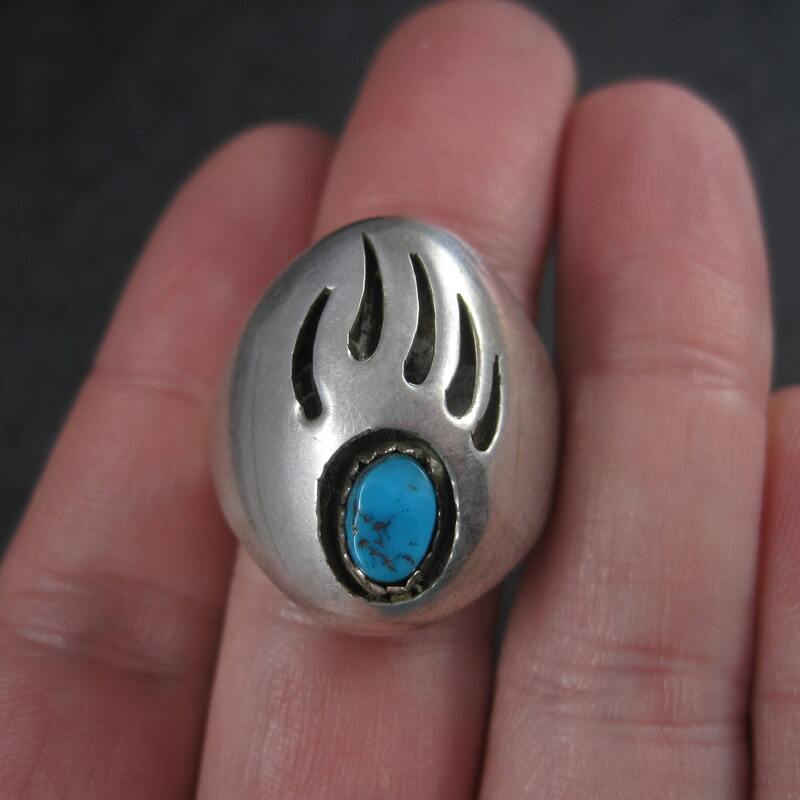 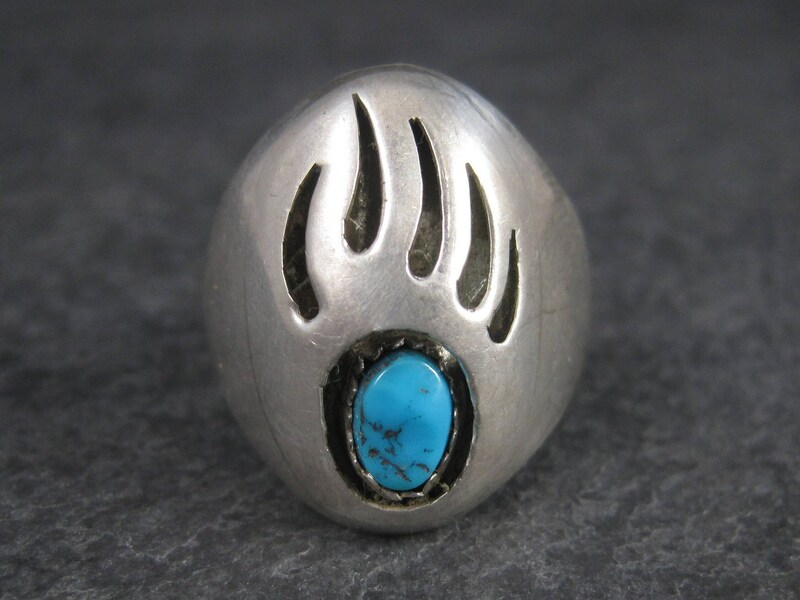 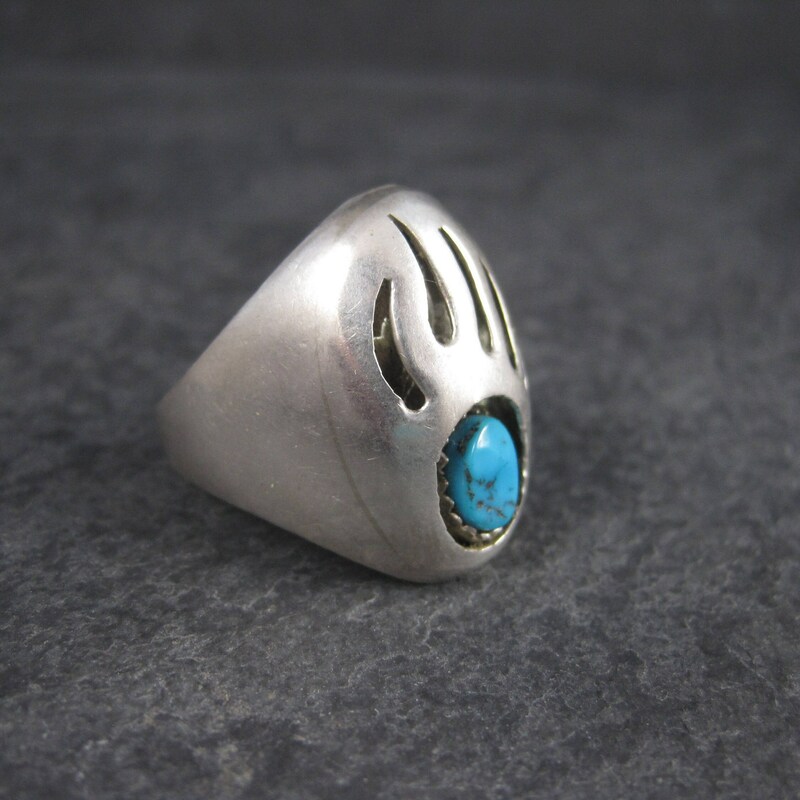 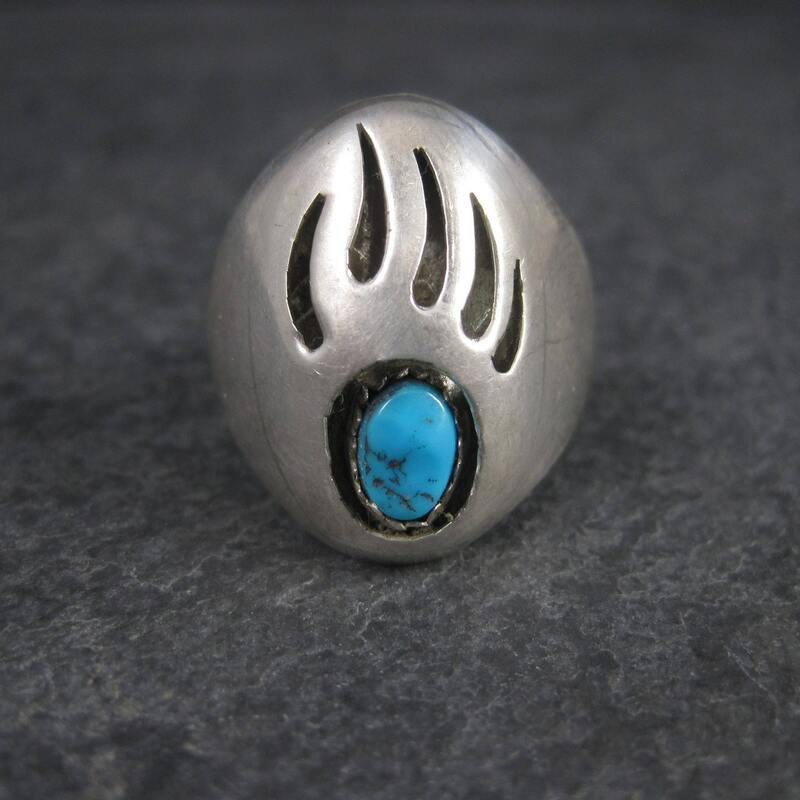 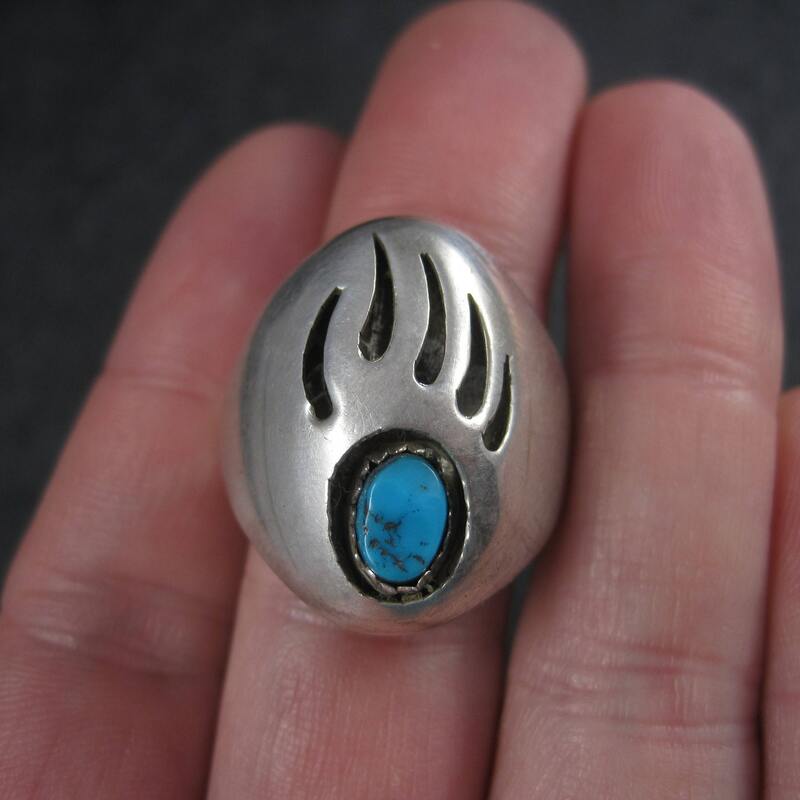 It features a natural turquoise set within a shadowbox bear paw design. 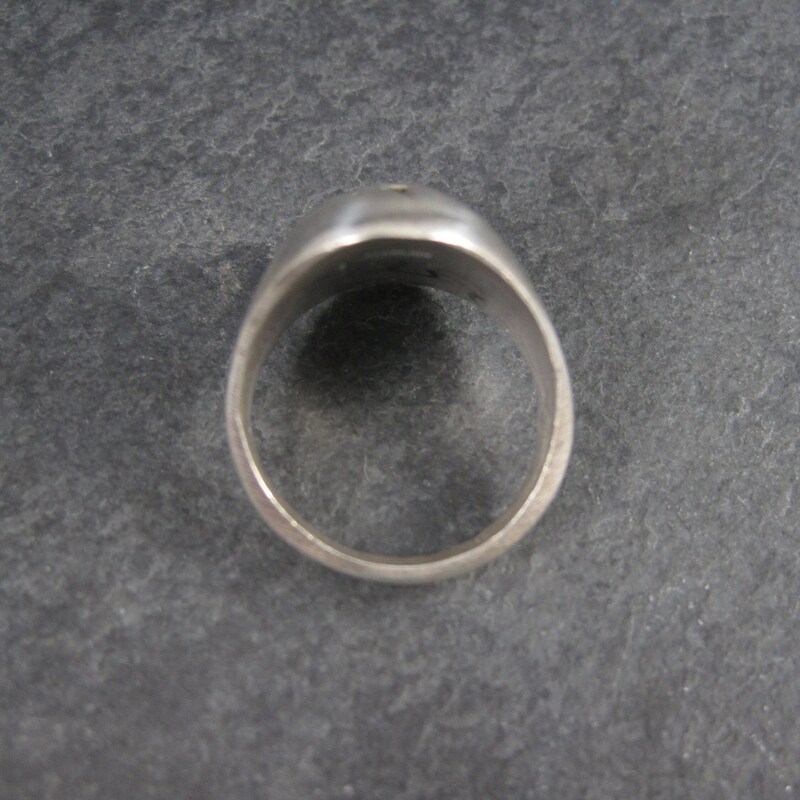 The face of this ring measures 1 inch north to south with a rise of 5mm off the finger. 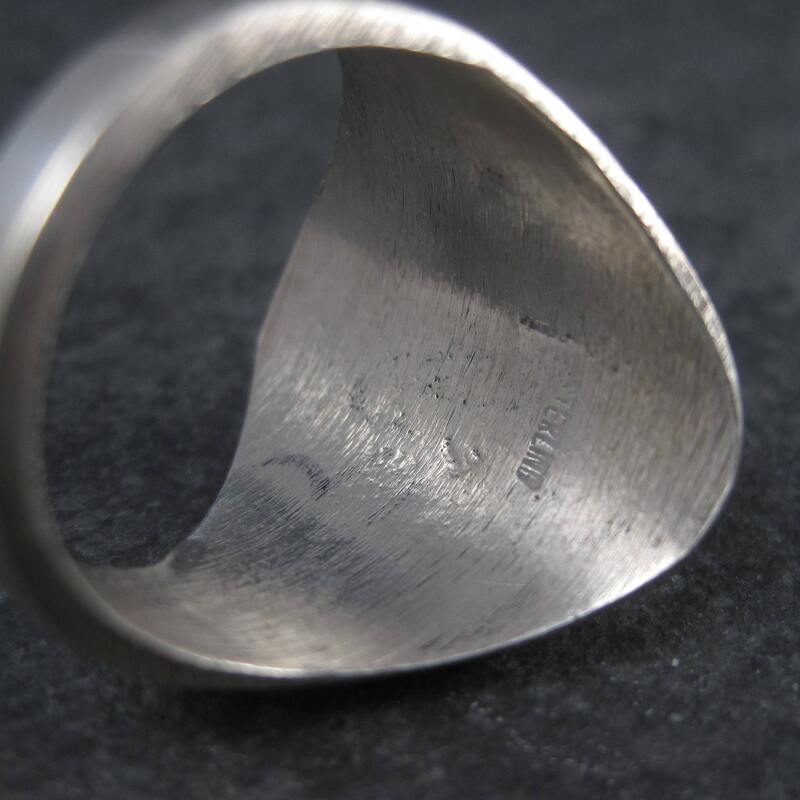 The design is slightly domed.